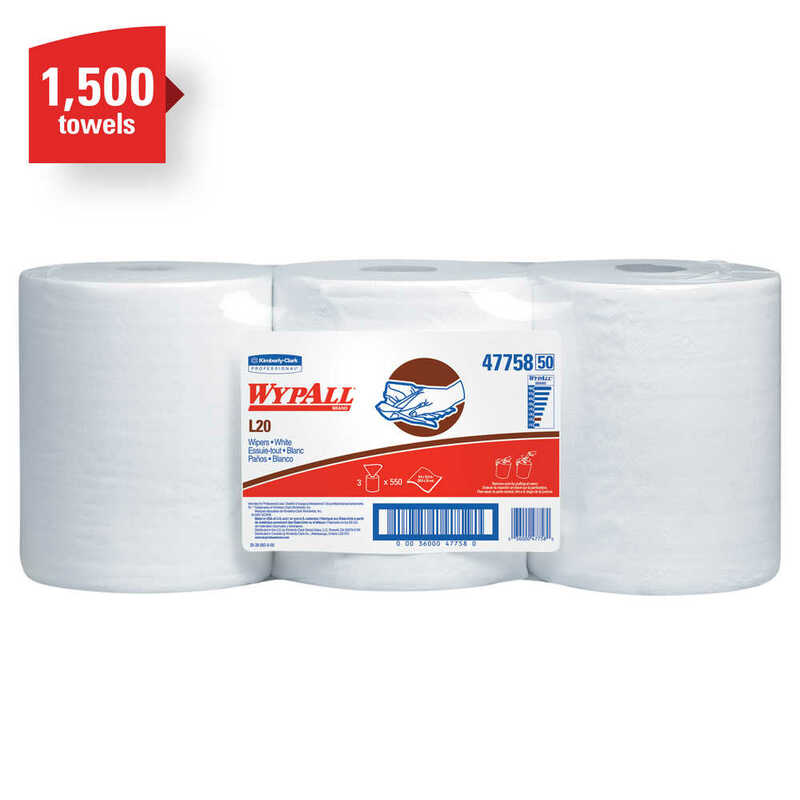 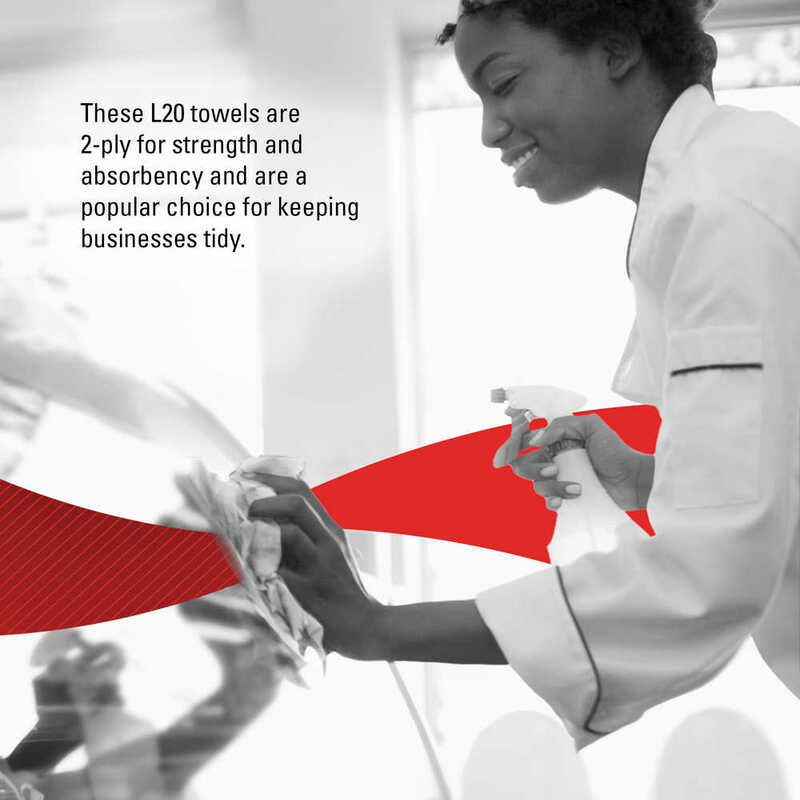 12.5" x 16.8" 12.5"x12" 9.8" x 13.4" 12.5" x 12" 9.1" x 16.8"
Wypall L20 Towels deliver value and versatility and can be your go-to wipe for reliable performance on everyday wiping tasks. 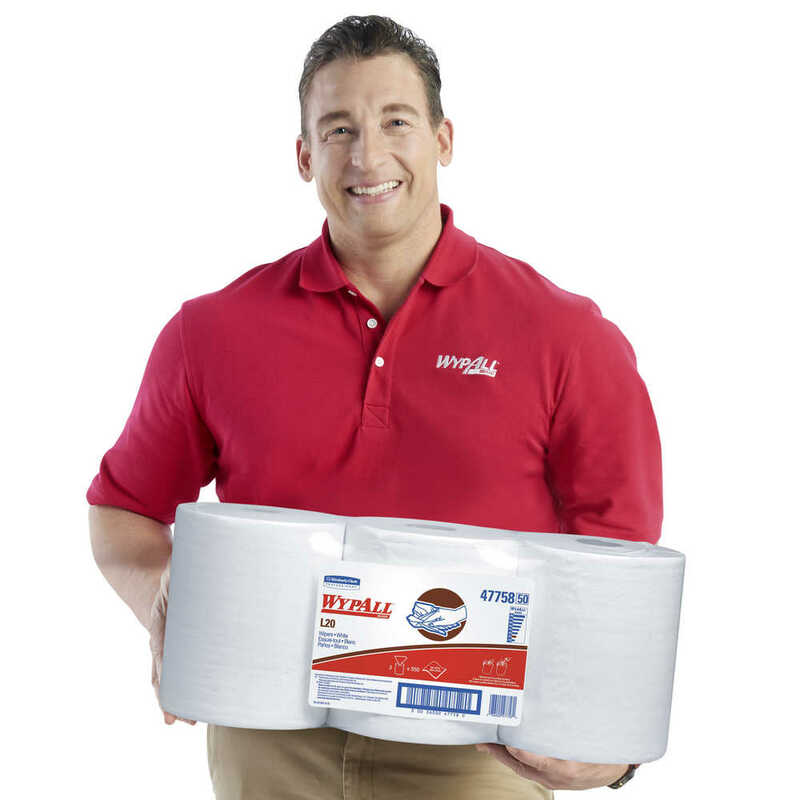 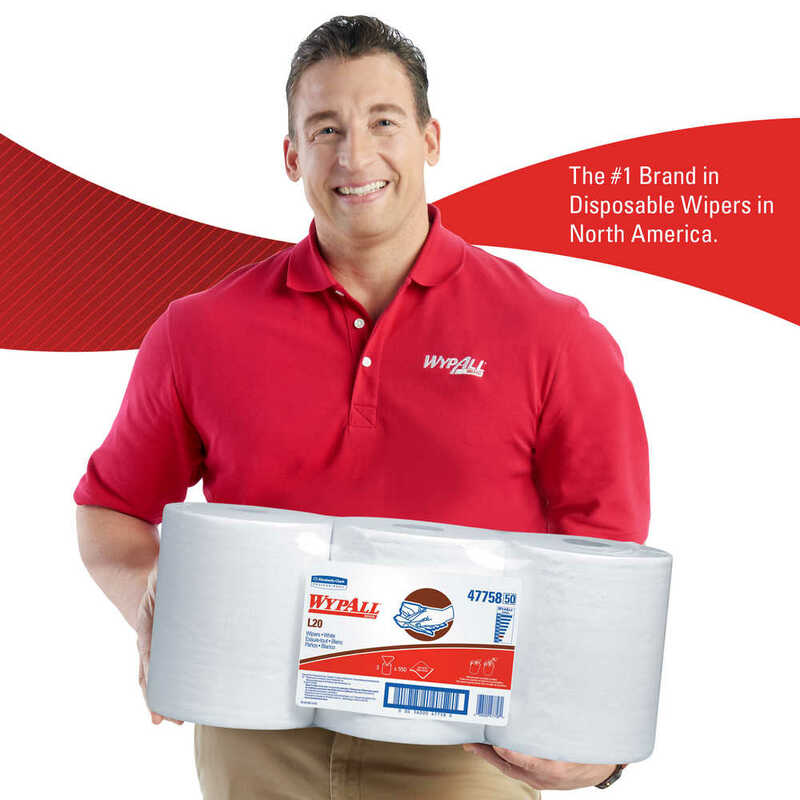 These white wipes are 2-ply for strength and absorbency and are a popular choice for keeping businesses tidy – from retail shops to countertops and light industrial to hospitality environments. 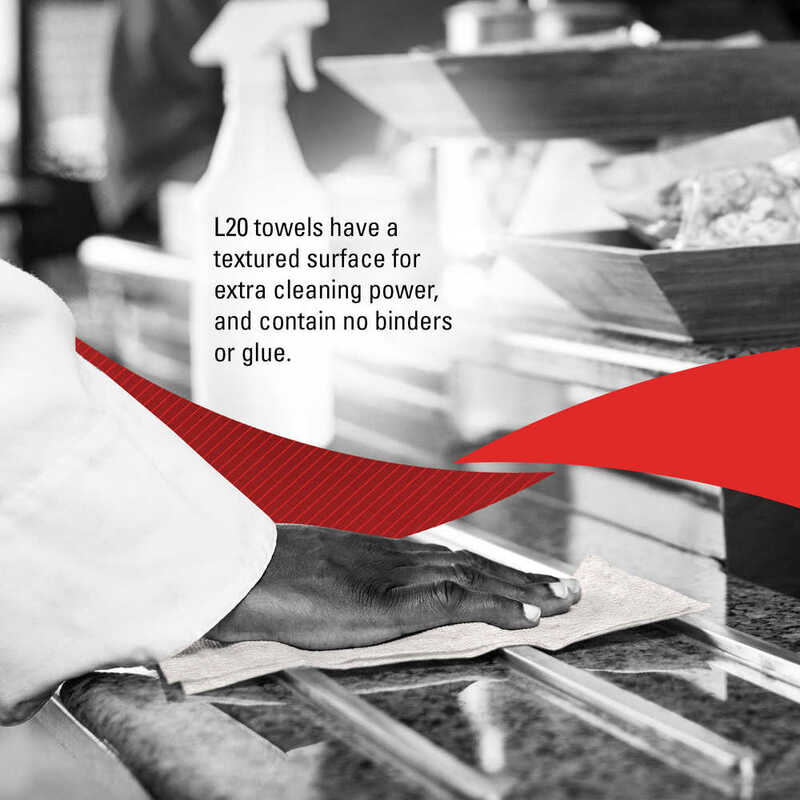 They are designed for single-use cleanup, contain no binders or glues and are textured for extra cleaning power. 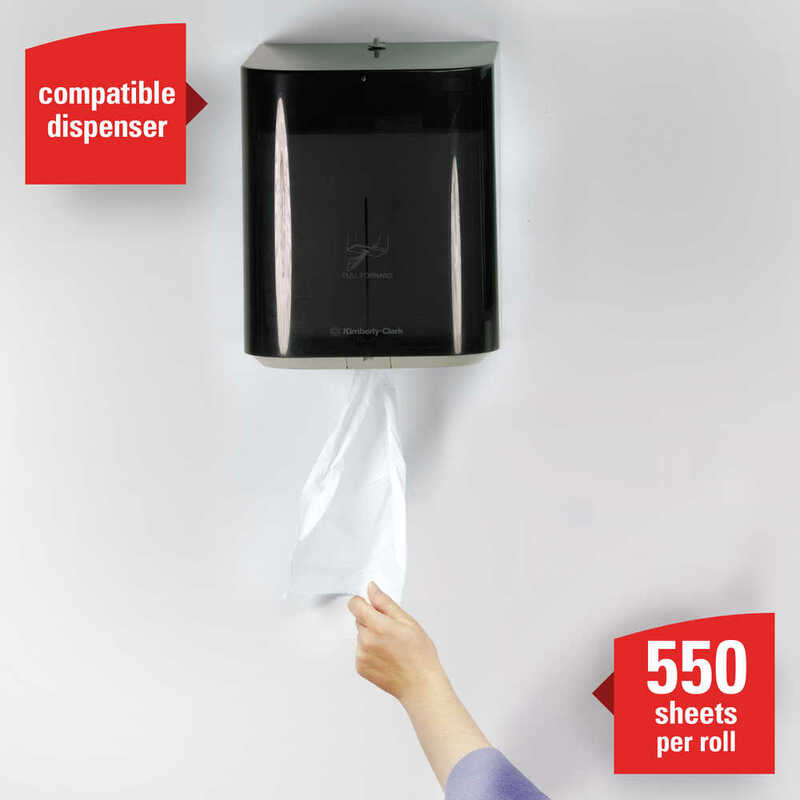 The large center-pull roll format dispenses one at a time and is compatible with some center-pull paper towel dispensers. 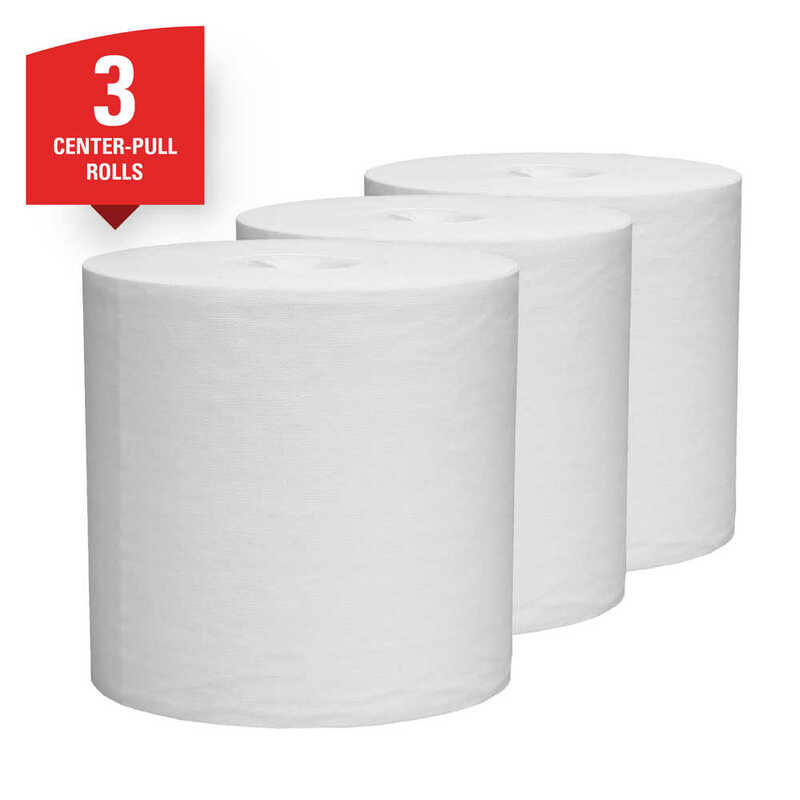 They meet EPA minimum guidelines for recycled fiber content so you can feel good about choosing them as part of your cleaning supply order.